George Washington, fondly referred to as the "father of his country," was the first	President of the United States of America, the Commander in Chief of the Continental Army during the American War for Independence, and one of the U.S. Founding Fathers. His life began in the countryside of Westmoreland County, Virginia on February 22, 1732. Born to Augustine and Mary Ball Washington, middle class farmers and plantation owners, George learned about farming at a young age after the early death of his father. Also, the untimely death of his father prevented young George from advancing past an elementary level education. Looking to advance himself vocationally and develop independence from his mother, George Washington became a surveyor for Culpeper County at the age of seventeen. This well-paying job was awarded to George mainly as a result of his connections with the wealthy and influential Fairfax family, a connection that George possessed because of his older brother Lawrence's involvement in both the Ohio Company (a land company funded largely by the Fairfax family) and the Virginia militia. Following a trip to Barbados with Lawrence, George contracted smallpox. He survived, but Lawrence died soon after the trip as a result of tuberculosis. The death of Lawrence opened up leadership positions in the Virginia milia; one of these open positions was given to George. Washington was now the the district adjucant militia leader for the Virginia militia. Shortly after Washington received his new military position, conflict arose between France and Great Britain over the claim to western lands in North America, specifically, land in the Ohio Country. The British investing company known as the Ohio Company had laid claim to much land in the Ohio Vally. Because of the personal interests of several Ohio Company investors in Virginia and on orders from the government of Great Britain, the governor of the colony of Virginia, Robert Dinwiddie, sent a militia group to the Ohio lands to request the leave of French forces that had gathered there. George Washington graciously received the invitation to lead this expedition. After delivering the notice of claimed British lands to the French forces, Washington returned to Virginia. However, Governor Dinwiddie soon sent him back to the Ohio territory to oversee the building of a British military fort. While on his second expedition, Washington decided to attack a French militia unit under the command of Joseph de Jumonville. With the help of an Indian ally named Tanacharison, Washington's men secured a hasty victory. Either during the battle or afterwards in the taking of prisoners, Jumonville was killed. A retaliation by the French led to the capture of Washington and much of his militia at Fort Necessity; however, he was set free to return to Virginia soon afterwards. There was conjecture that Washington himself murdered the French commander or that he died at the hands of Tanacharison. Regardless, this incident was crucial in beginning the French and Indian War between France and Great Britain in North America in 1756. During the French and Indian War, Washington saw action in battle at the Battle of the Monongahela. Serving as the chief American aide to the British General Edward Braddock, Washington rallied the British troops after an ambush by French and Indian forces left many of the British officers dead or wounded and the troops in a state of disarray. His bravery and the fact that he narrowly escaped the battle unharmed himself (he was shot four times through his coat and lost two horses from underneath him) helped to bolster Washington's reputation as a war hero. This resulted in Governor Dinwiddie appointing George Washington to Commander in Chief of the Virginia militia. He spent most of his efforts as commander defending the Virginia frontier from hostile Indian attacks. Although he lost many men as a result of these expeditions, he did succeed in making the Virginia frontier one of the safest among the colonies for settlers. Additionally, Washington served alongside the British army as the French and Indian conflict waged on. He was hardly successful in this, blundering his role in the Forbes Expedition to capture the western French Fort Duquesne. He unwittingly led his troops to open fire on a British unit, leading to casualties from friendly fire. George Washington resigned from the Virginia militia after this mistake, but still learned much from his early experiences in war, particularly the tactics of the British military with their strengths and weaknesses. Additionally, many of Washington's later political views were first birthed during this time in his life: he recognized the need for a strong central government that had the ability to act quickly and definitively. Based on this belief, he would later come to espouse the political views of the Federalist Party. Following his service in the French and Indian War, Washington returned to civilian life with his marriage to Martha Dandridge Custis, a wealthy widow. Not only did George Washington increase his wealth and the size of his estate with this marriage, but also he became a father to Mary's children John Parke Custis and Martha Parke Custis. George and Martha never had any children of their own. Washington acquired even more land because of his service in the French and Indian War; Governor Dinwiddie awarded over 20,000 acres of land in the Ohio territory to George Washington. With this significant increase in land and wealth, Washington rose in Virginian society to the level of an aristocrat and became involved in local politics as a member of the Virginia House of Burgesses in 1758. Washington's involvement in politics, however, soon landed him back on the battlefield. After actively opposing the Stamp Act of 1765 and the Townshend Acts, Washington drew up a proposal to boycott British goods until the repeal of these unfair taxes on the American colonies. Soon, the fighting with Great Britain became more than political. During the summer of 1775, Washington was appointed the Commander in Chief of the Continental Army by the American colonies' legislative body, the Continental Congress. 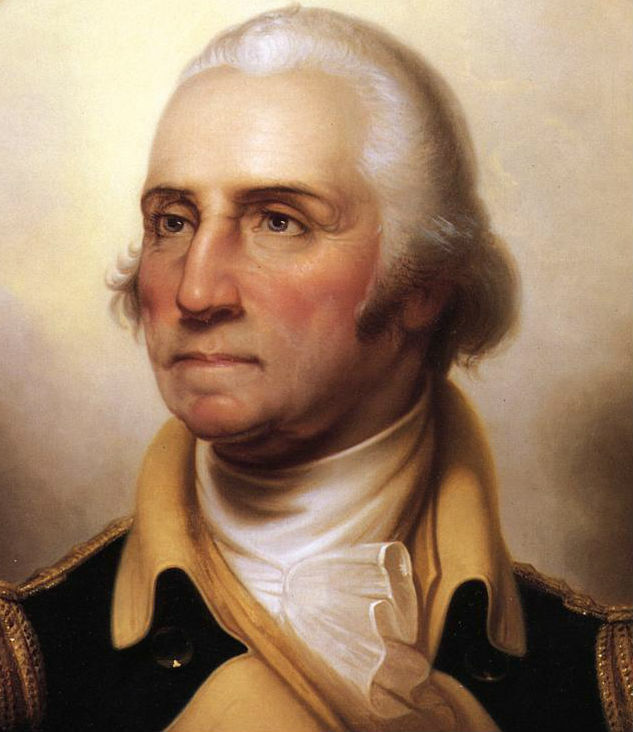 As Commander in Chief, Washington was responsible for leading the Continental army, training the army, and serving as the public face of the American Revolution. The American War for Independence began with the two skirmishes at Lexington and Concord. Washington was not directly involved in these preliminary battles, as he became Commander in Chief directly afterwards. Washington's time as the commander of the colonial forces was full of both victories and significant defeats. At the beginning of the war, George Washington drove the British out of the major city of Boston, but then lost the great city of New York shortly after. Following this great defeat, Washington gave life back to the colonial efforts by winning small battles at both Trenton and Princeton, New Jersey in December 1776. The next year, the British, under the command of General Howe, defeated Washington's army at Philadelphia and captured the city that served as the rebel forces political capital. 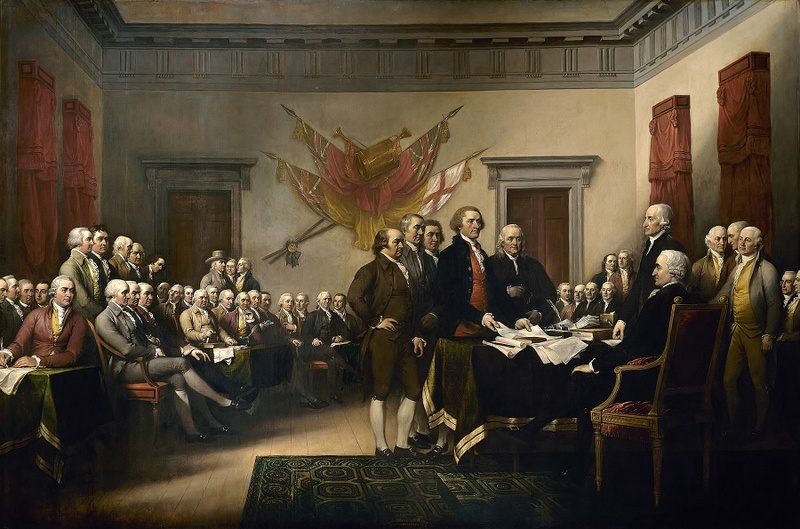 This significant loss prompted several members of the Continental Congress to question Washington's competency as the leader of the Continental Army. Despite the doubts about Washington, enough support remained among the army and the political leaders of the colony for the commander to keep his title. The winter of 1777 saw the colonial army encamped at Valley Forge, where they suffered massive casualties, mainly from disease. Following this bitter winter, Washington followed the British army as they evacuated the recently captured city of Philadelphia to retreat to their stronghold at New York. Washington attempted to attack them at the Battle of Monmouth, but this proved to end in a stalemate. The winter of 1779-1780 was another difficult season for Washington and his men. Supplies ran scarce once again, and the treason committed by Benedict Arnold became public. However, the next summer proved to be more successful. Aided by their ally France with both ground troops and a naval force, George Washington delivered a decisive victory over the British in the Battle of Yorktown. A formal peace treaty was not signed until September 1783, the Treaty of Paris. Shortly thereafter, Washington retired to his estate in Mount Vernon, Virginia to attend to his lands and farms. 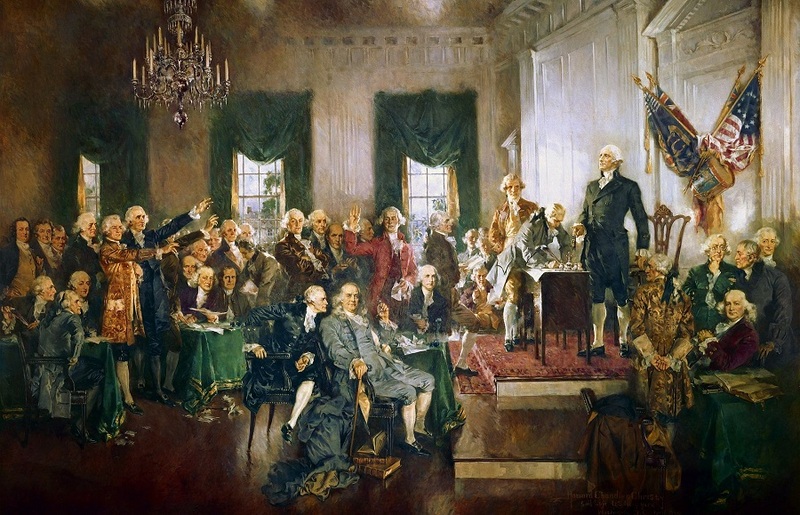 George Washington's retirement was brief, as he was called to the Constitutional Convention to assist in crafting a government for the newly independent colonies. Serving as the president of the Convention, he strongly disapproved of the proposed Articles of Confederation, claiming that they would establish a weak central government for the new nation. Following the ratification of the Constitution (the replacement for the Articles of Confederation), George Washington was unanimously elected as the first President of the United States of America in 1789. He reluctantly was elected to a second term in 1792. As the first U.S. President, George Washington set many precedents: he opted to serve only two terms, he removed all royal "flair" from the office of President, he initiated public addresses to Congress, and he formed a cabinet of personal advisers to assist him in making leadership decisions. Additionally, he tended to favor and promote the actions of a strong central federal government. For example, in 1794, Washington sent state militias to suppress what became known as the Whiskey Rebellion, a protest to an excise tax on distilled spirits that had been implemented by Congress three years earlier. Both his show of force and his support of taxation by the central government proved George Washington's support of the Federalist principles of strong federal government. In foreign affairs, Washington adopted a policy of diplomacy and neutrality throughout his presidency. After the end of his second presidential term, Washington penned his Farewell Address, in which he urged the young nation to practice national unity, abide by the Constitution, uphold morality, and adopt international independence in foreign affairs. George Washington retired to his Mount Vernon home once again in 1797 upon the completion of his presidency and political career. He devoted most of his time to caring for and expanding his estate. However, he did accept a military leadership position the following year as the senior officer of the United States Army as tensions with France heightened. On December 13, 1799, Washington came down with a severe sore throat and other cold-like symptoms. His symptoms rapidly progressed, and doctors were called to his aide at his home. A believer in the ineffective medical practice of bloodletting, in which a sick patient is bled in order to rid the body of disease, Washington allowed the three physicians attending to him to bleed almost half of his body's blood supply. When he died around 10:00 pm on December 14, it was most likely due to shock. George Washington's death was publicly mourned not only in the United States but also in several European nations. The legacy of George Washington is one that will not be soon removed from both the iconic and factual history of the U.S.A. From his title as the "father of his country" to his portrait on the American dollar to a monument constructed to his honor in America's capital city, George Washington was indeed "first in war-first in peace-and first in the hearts of his countrymen."